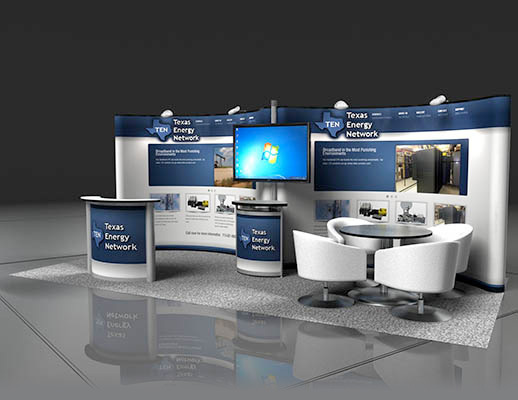 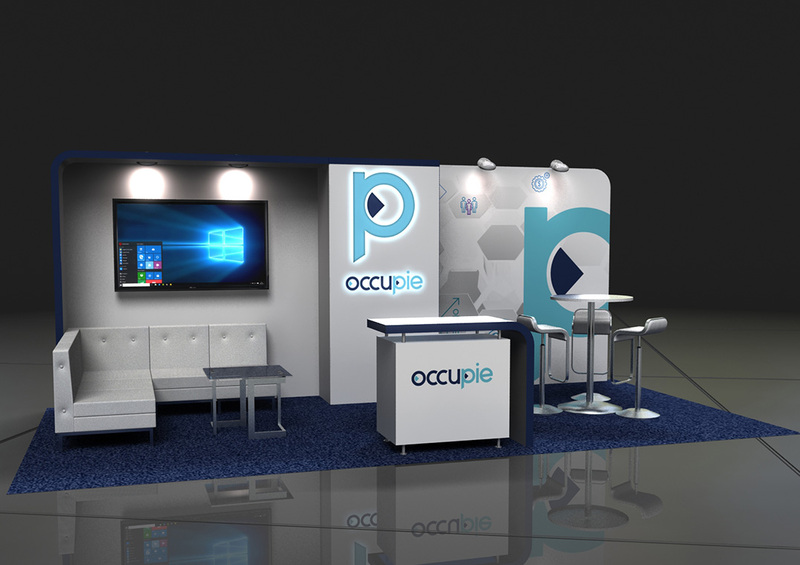 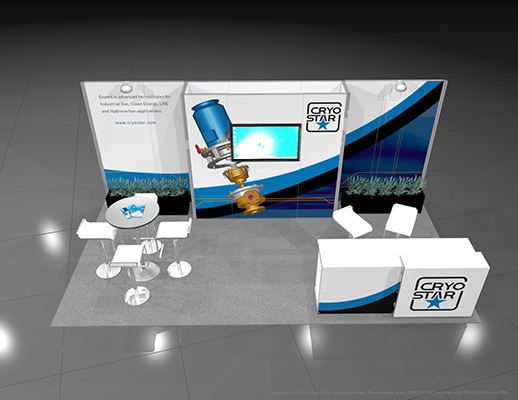 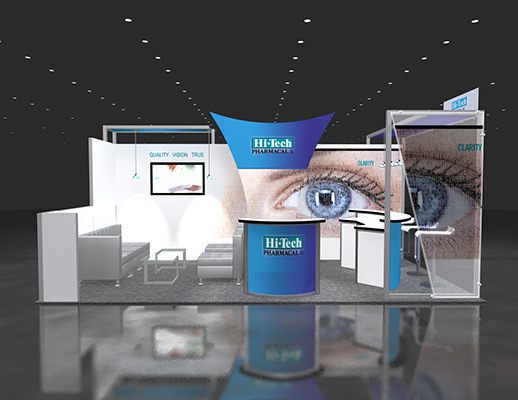 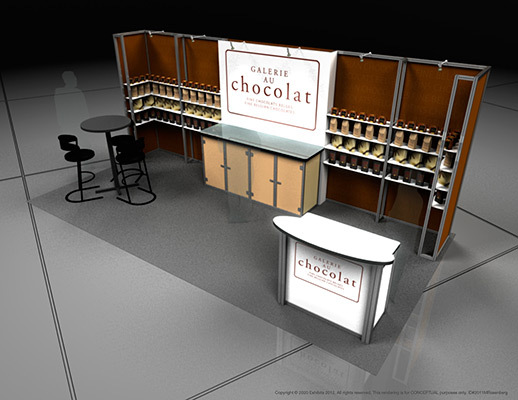 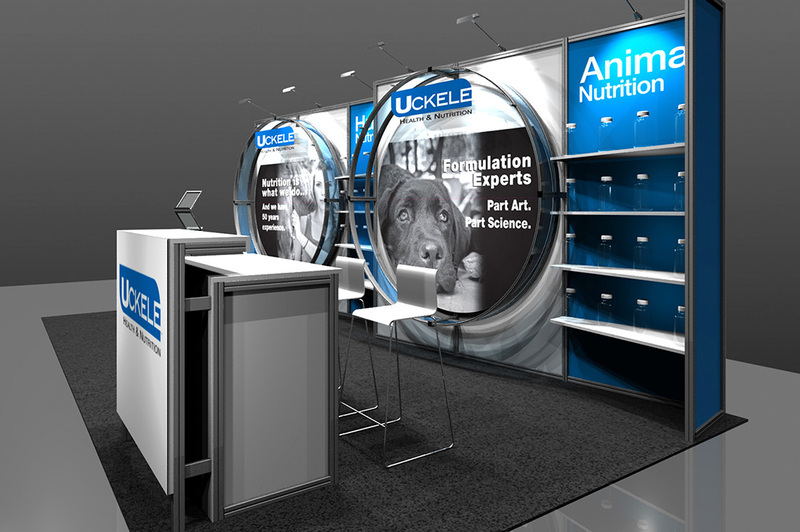 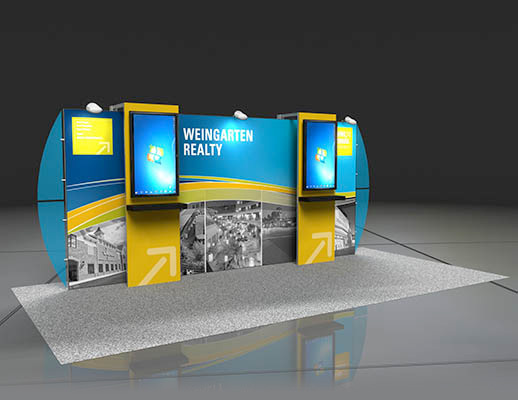 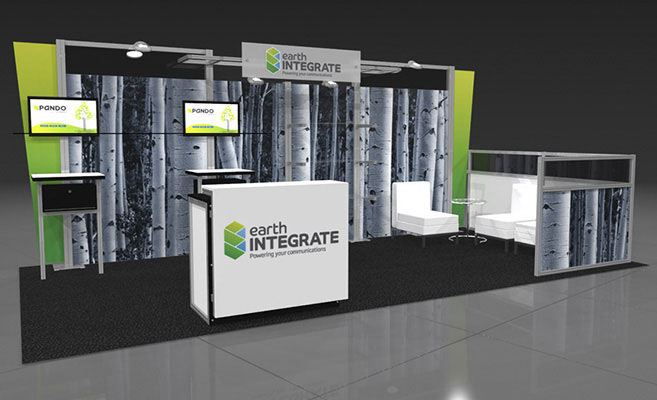 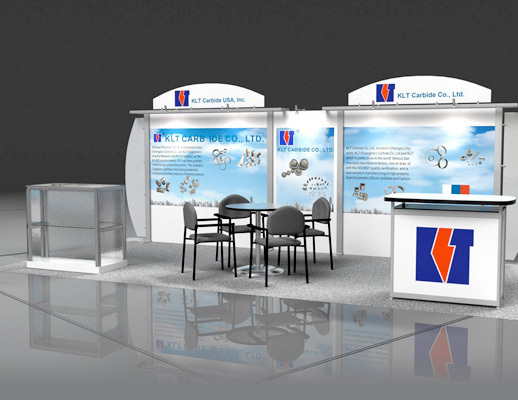 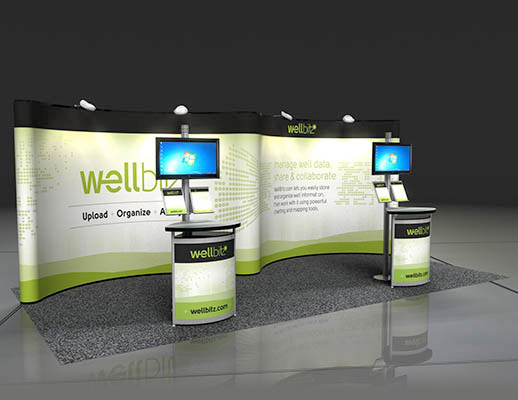 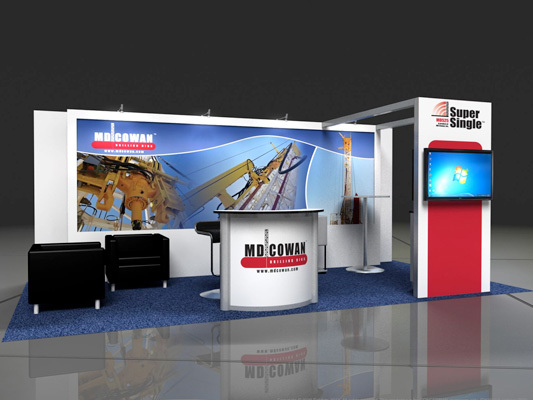 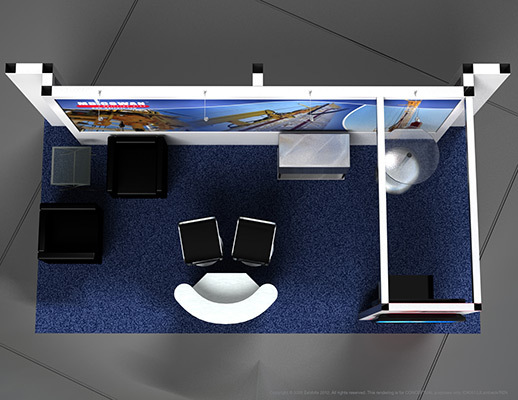 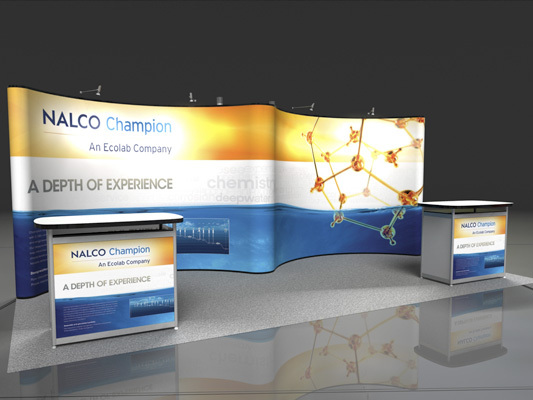 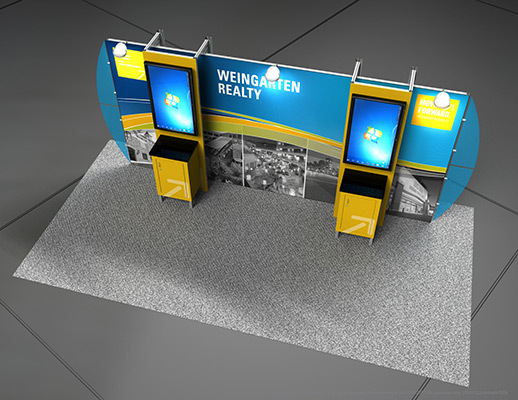 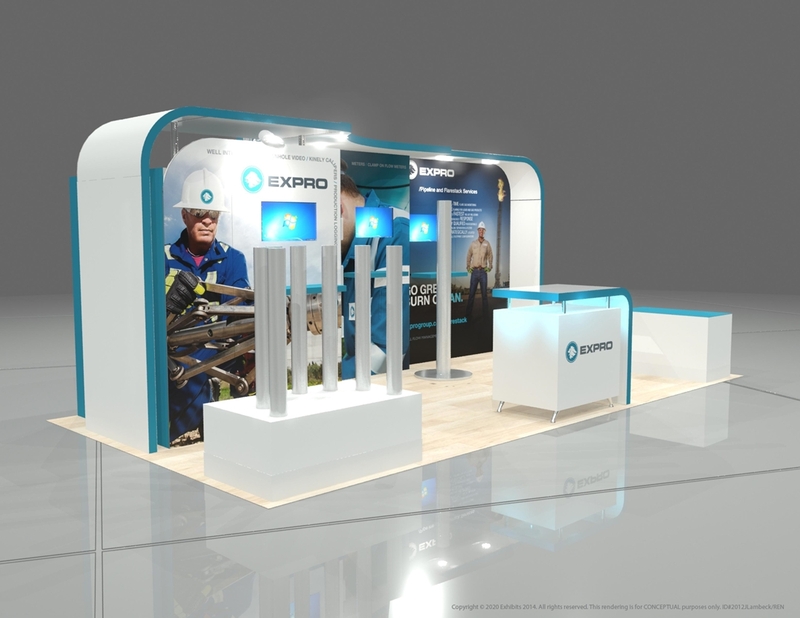 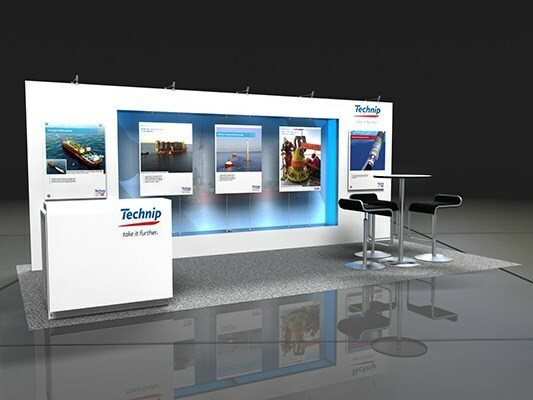 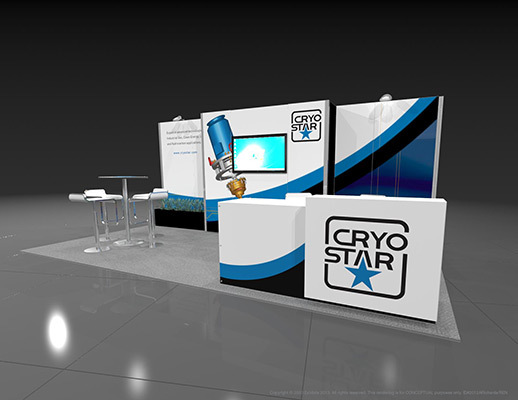 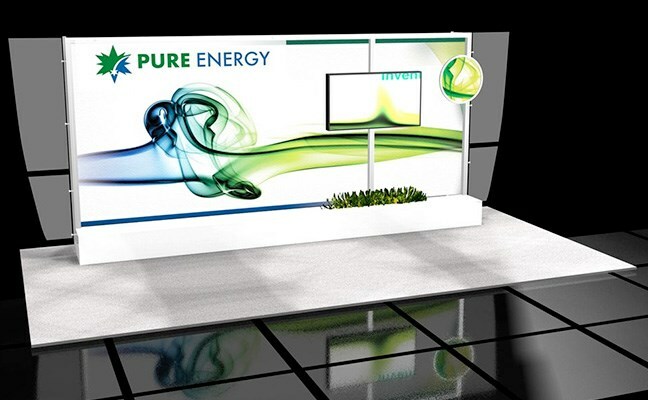 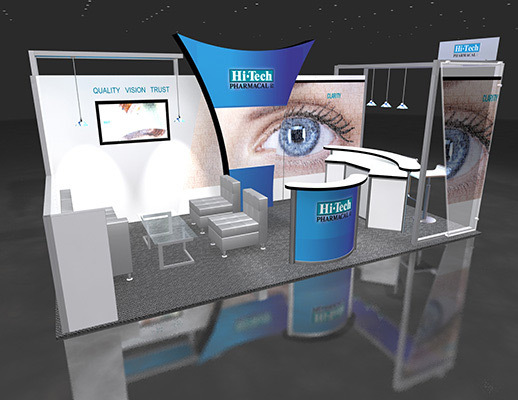 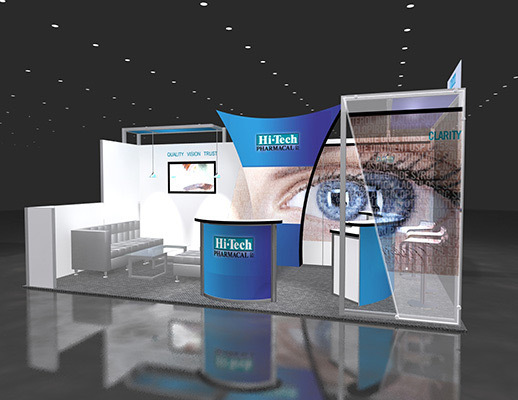 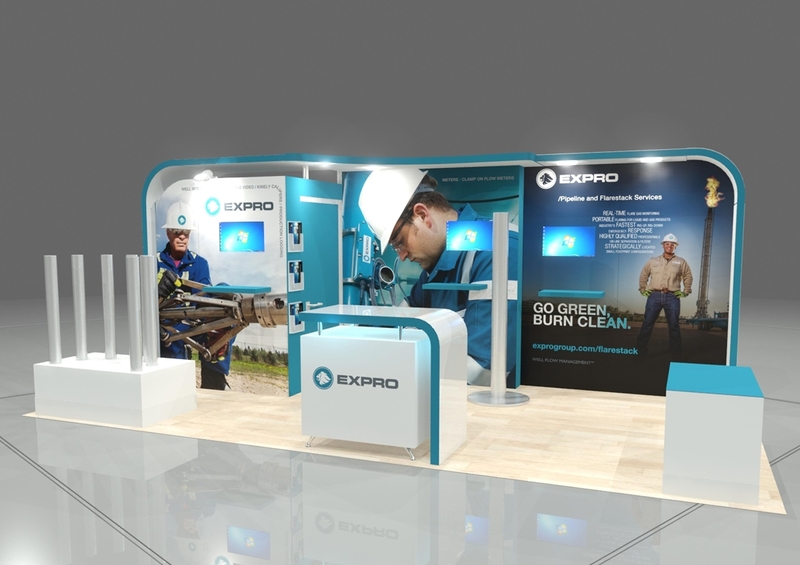 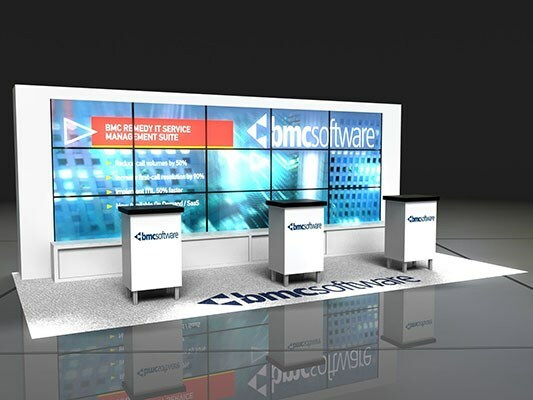 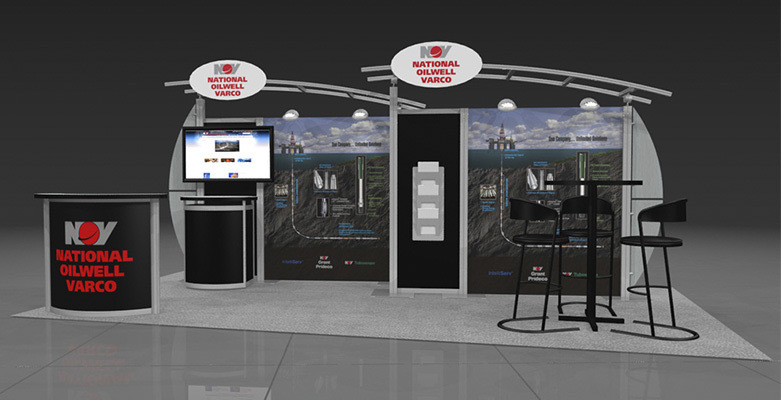 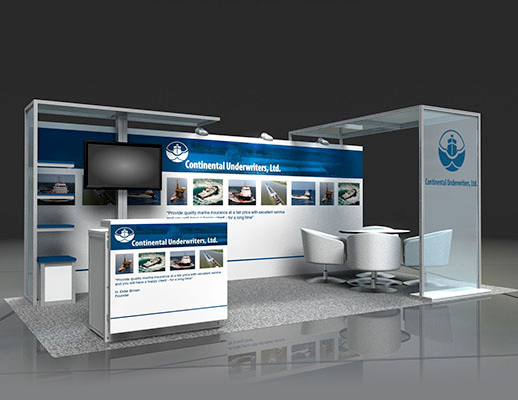 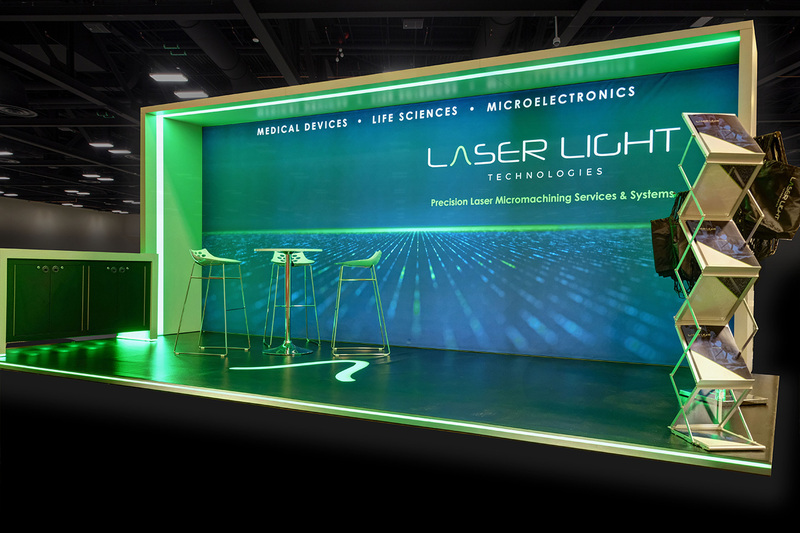 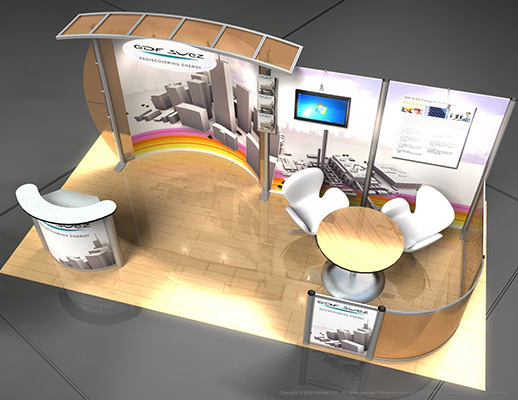 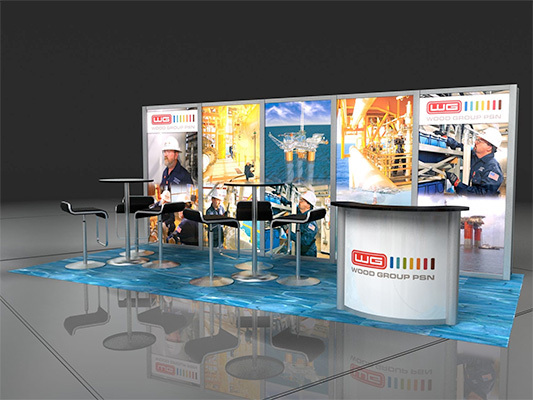 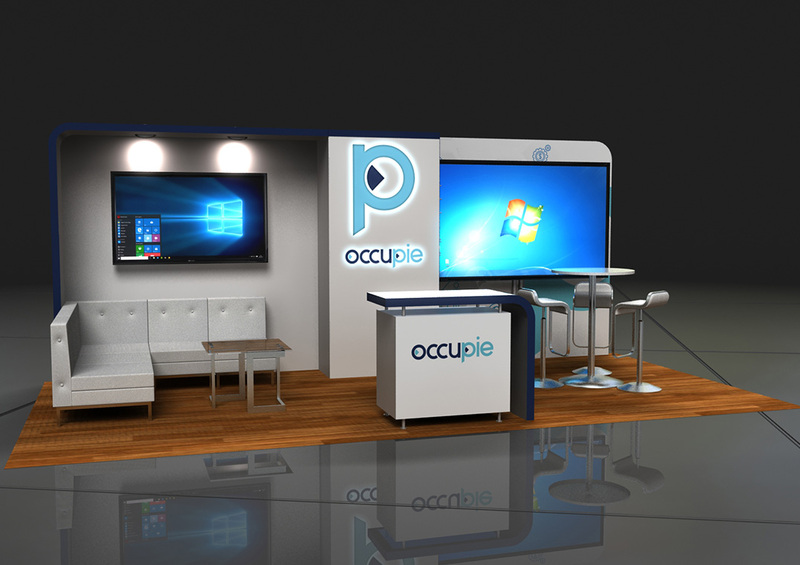 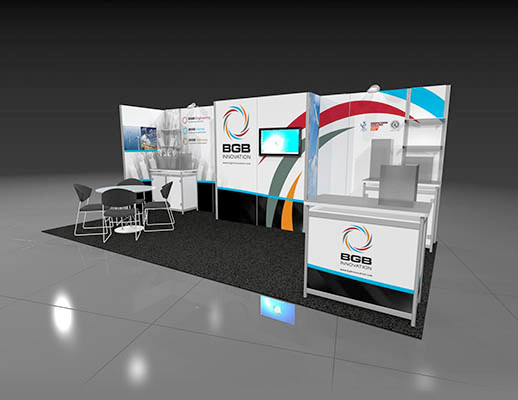 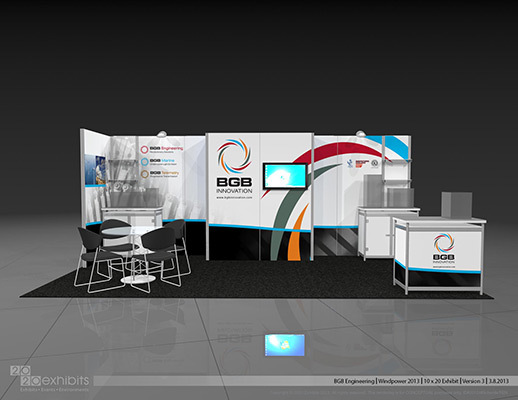 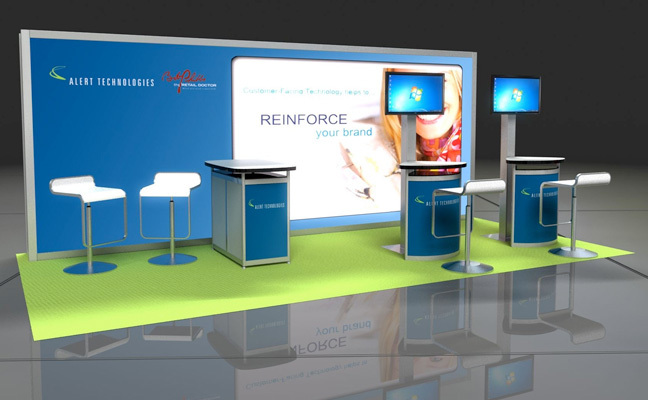 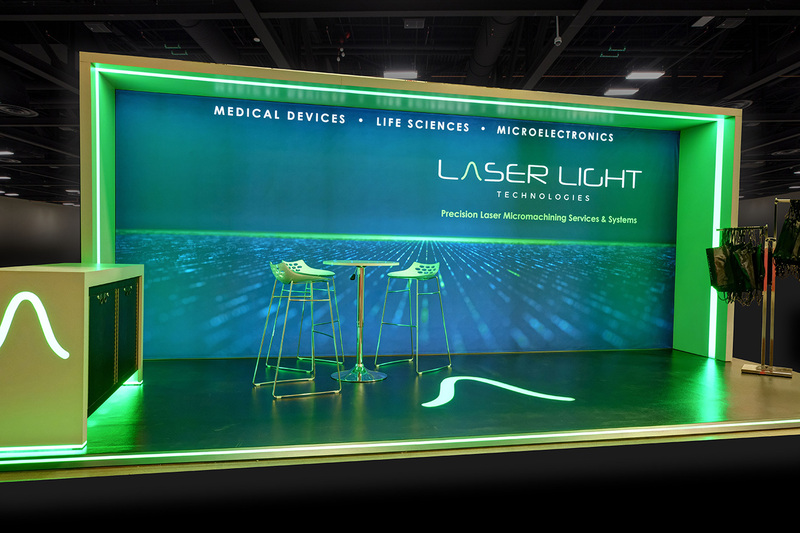 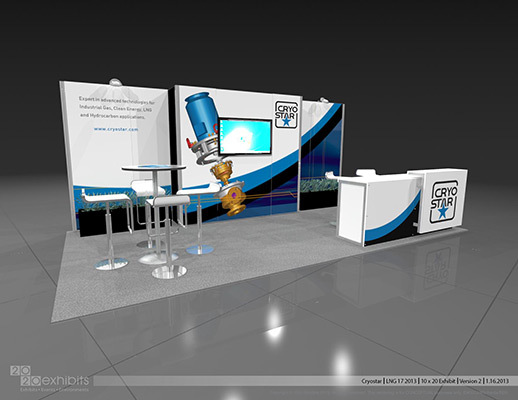 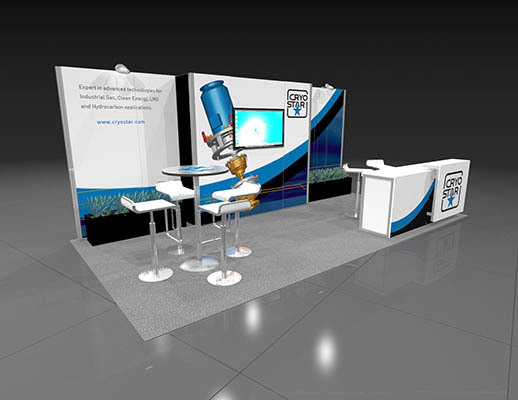 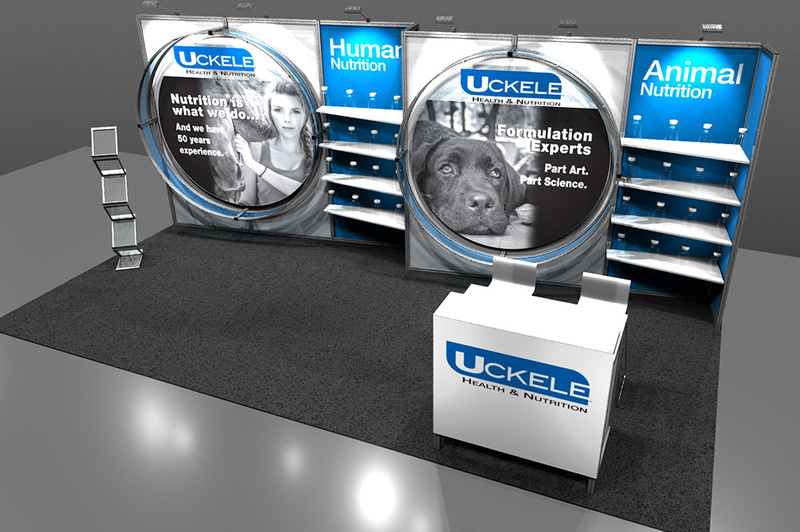 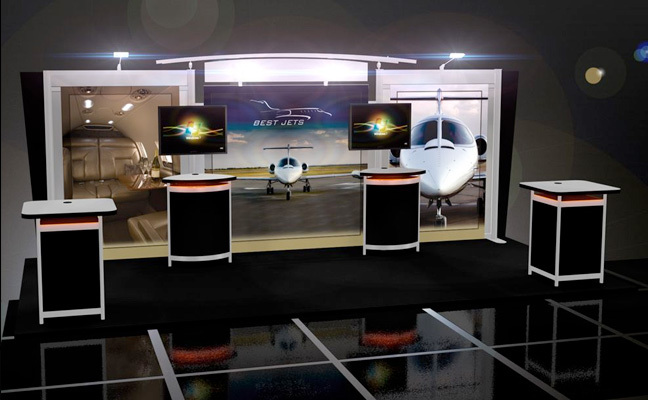 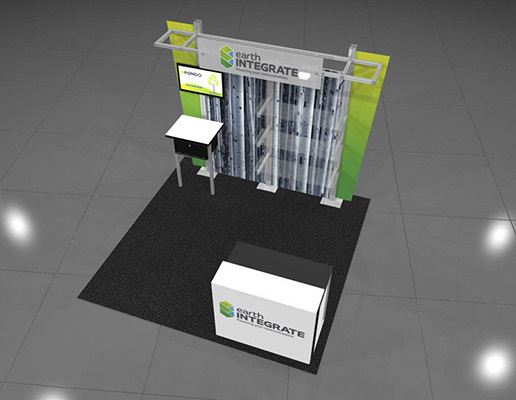 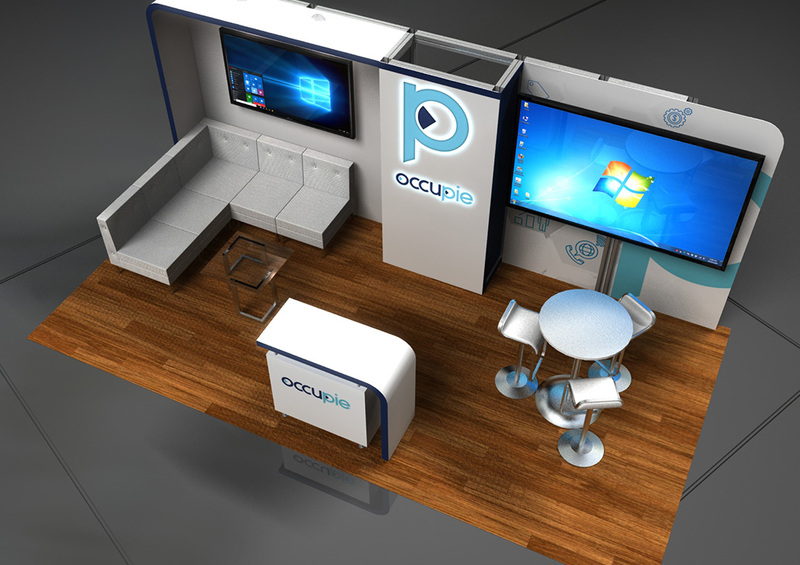 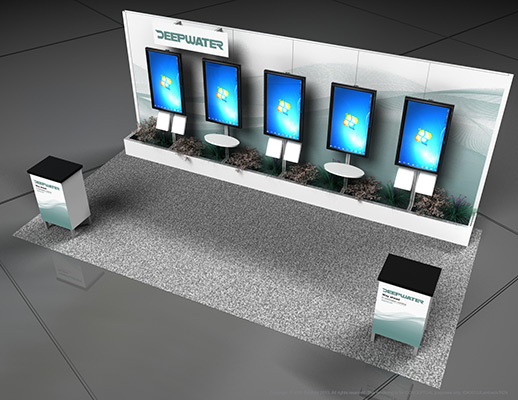 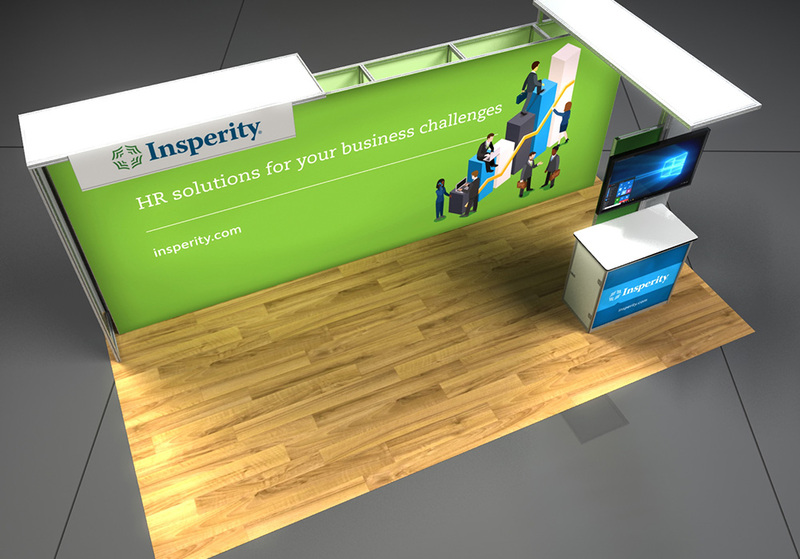 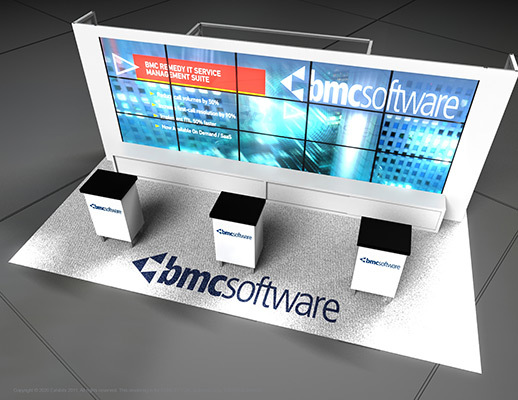 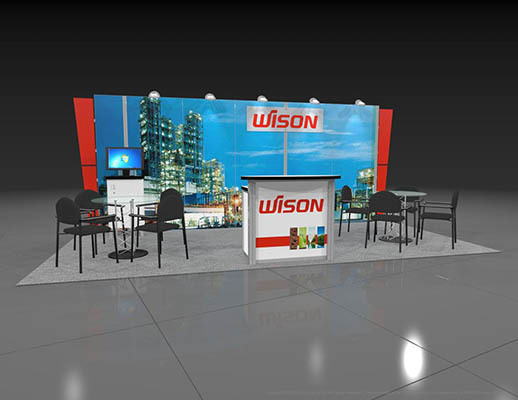 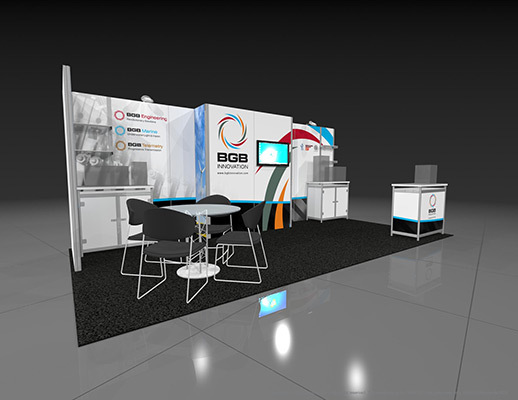 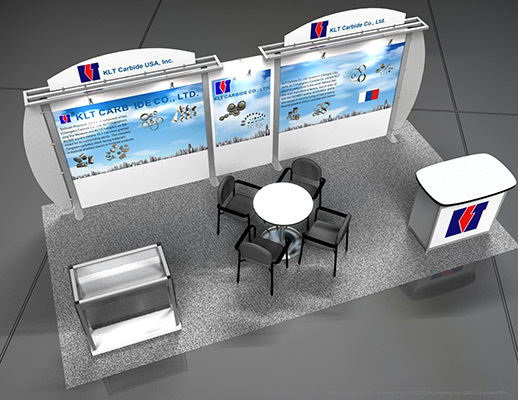 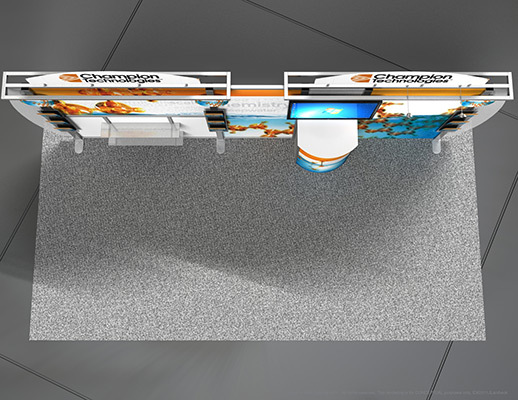 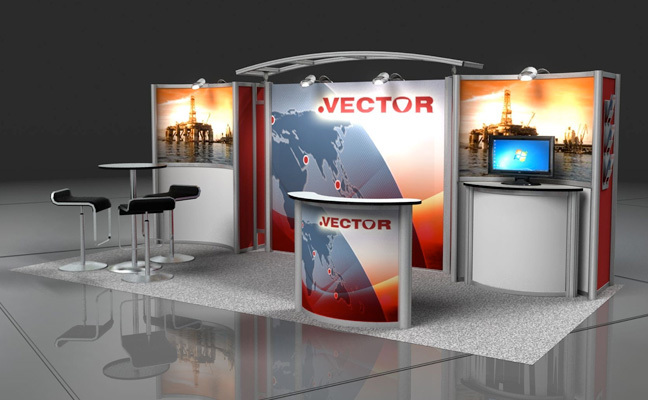 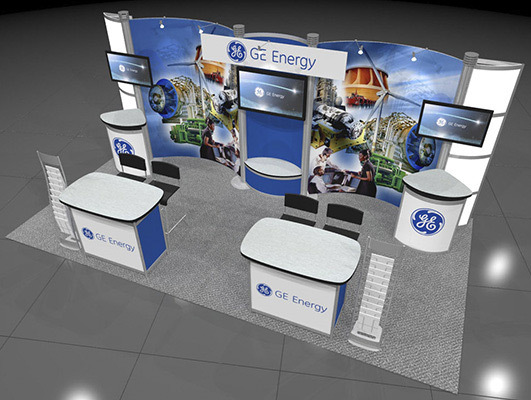 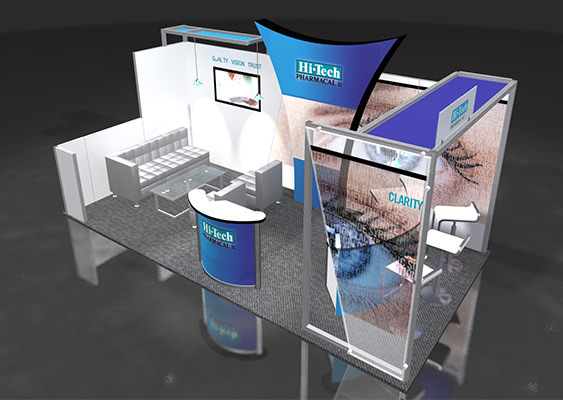 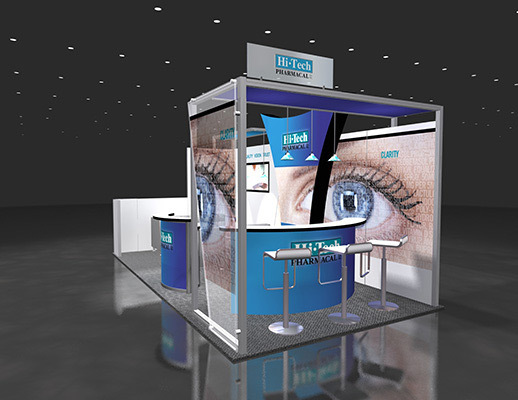 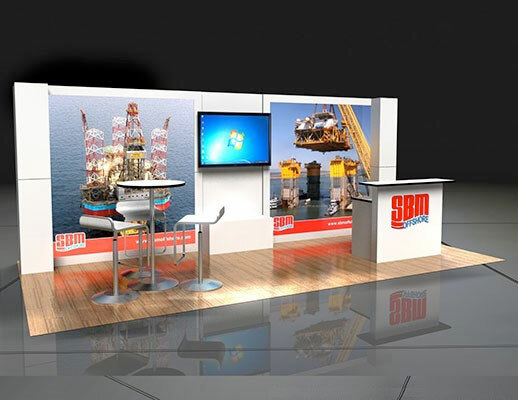 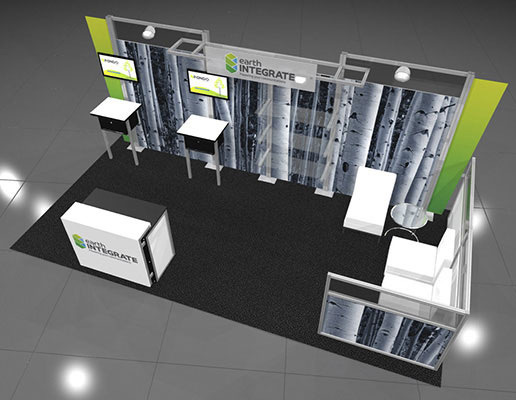 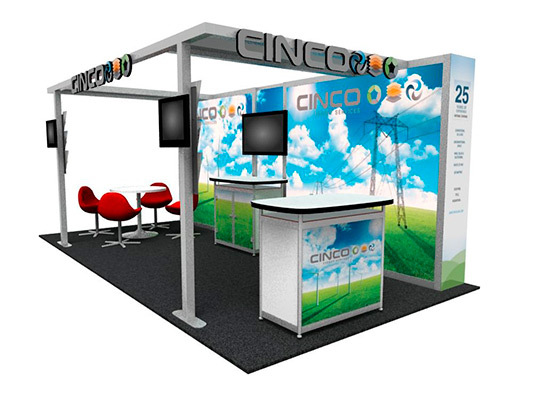 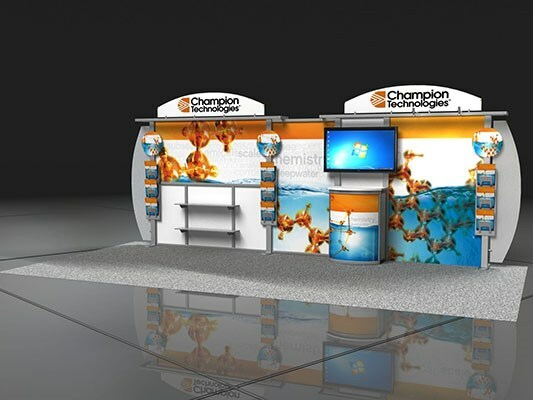 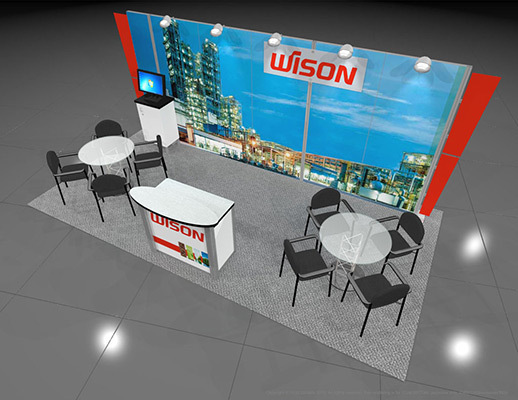 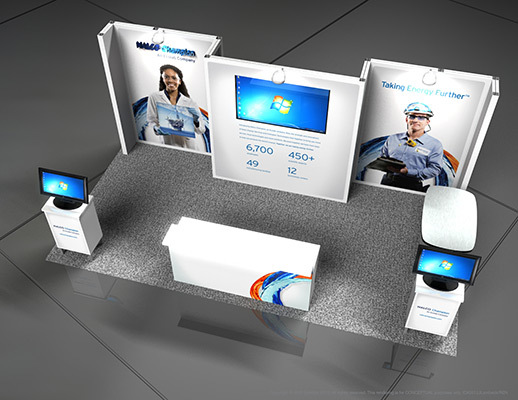 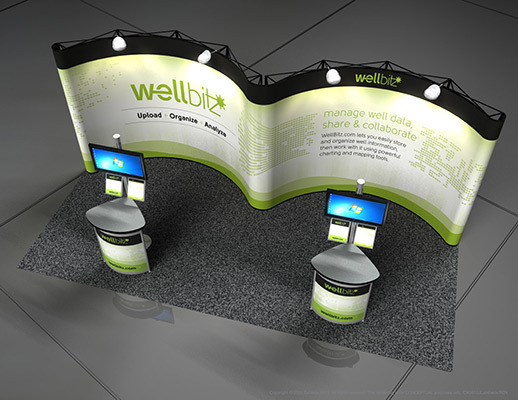 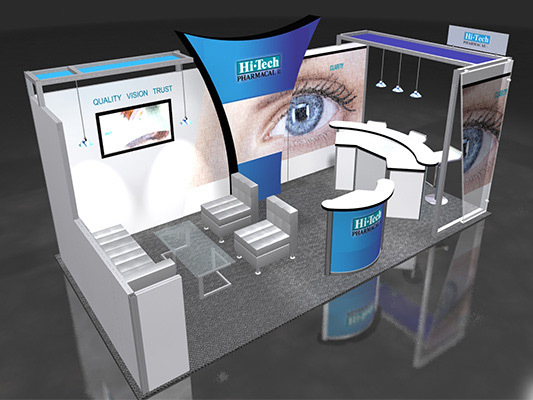 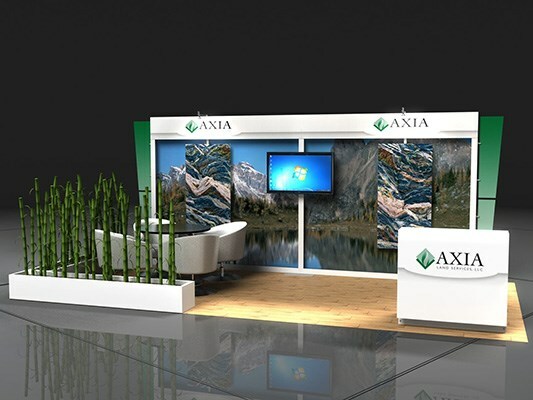 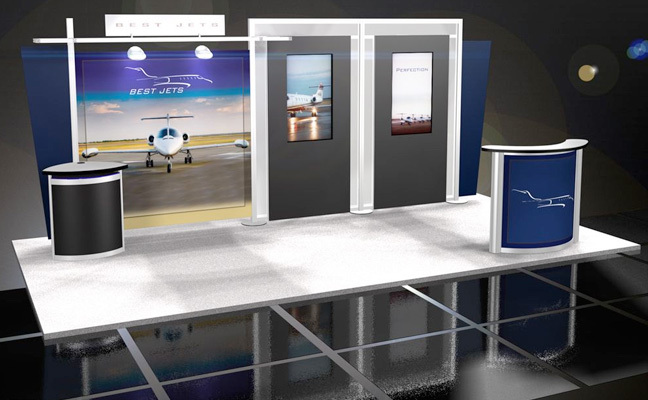 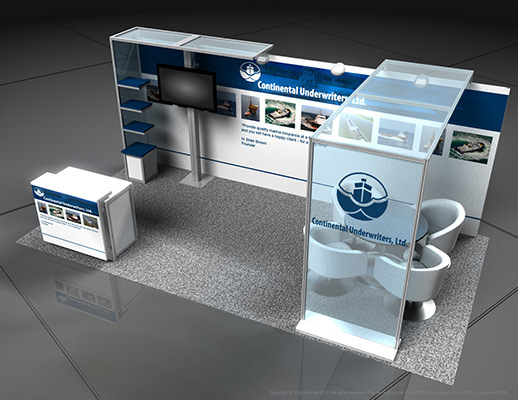 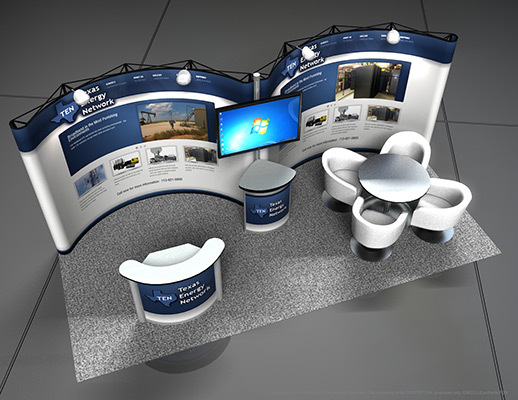 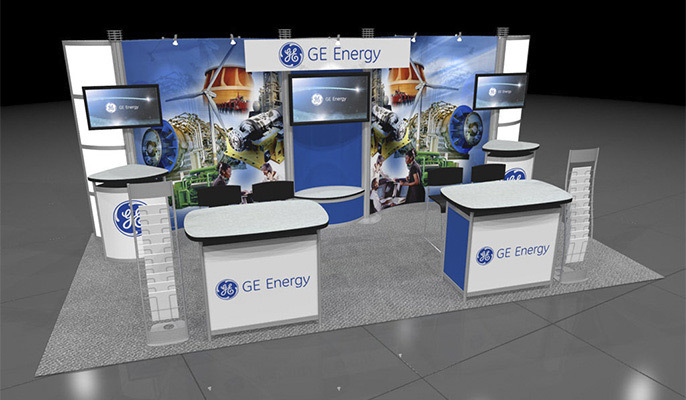 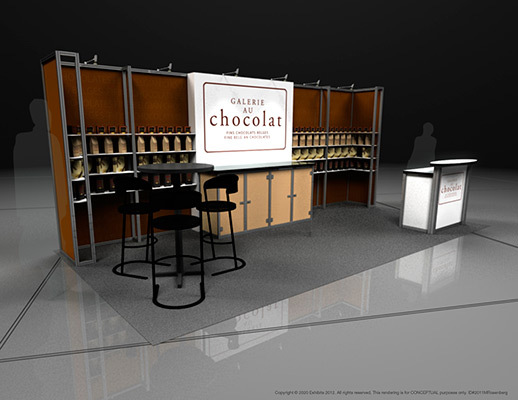 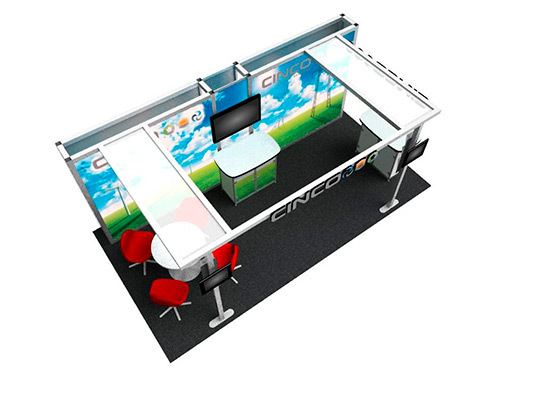 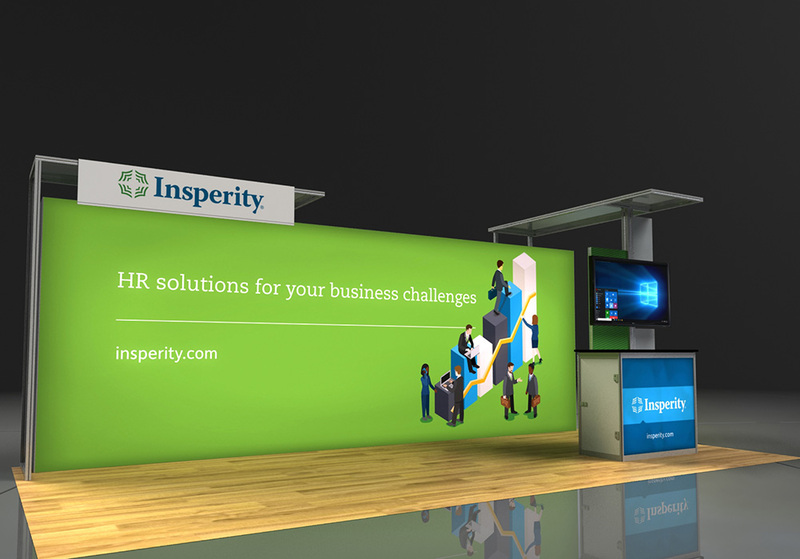 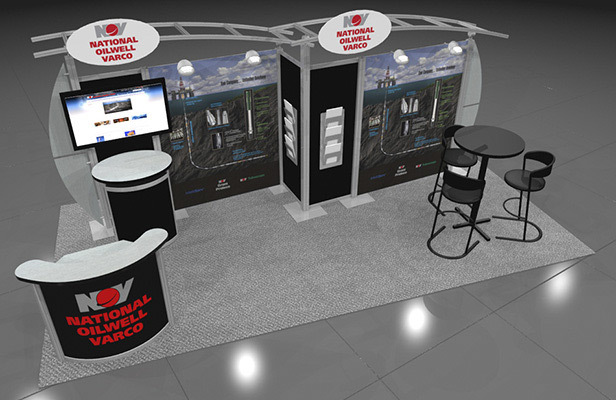 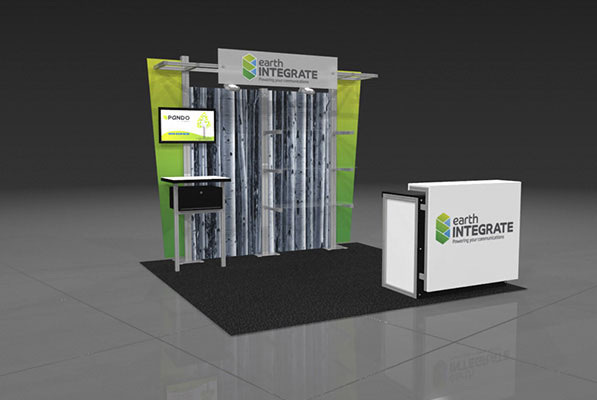 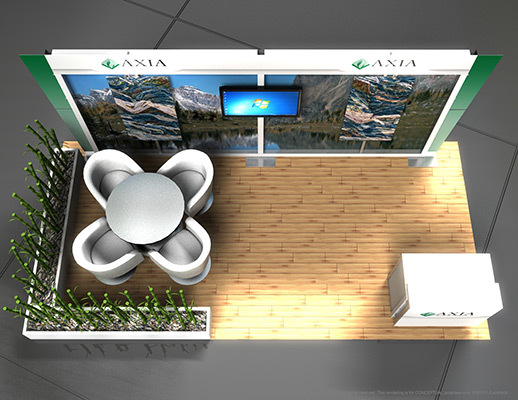 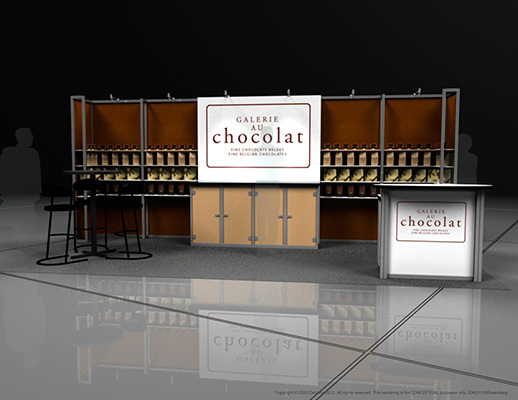 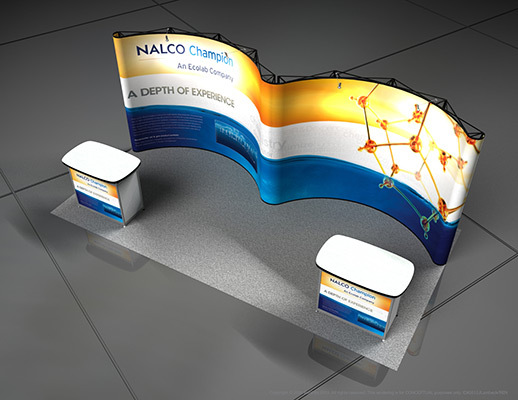 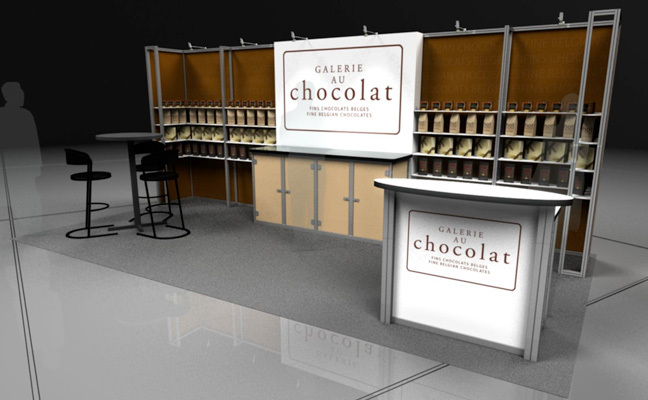 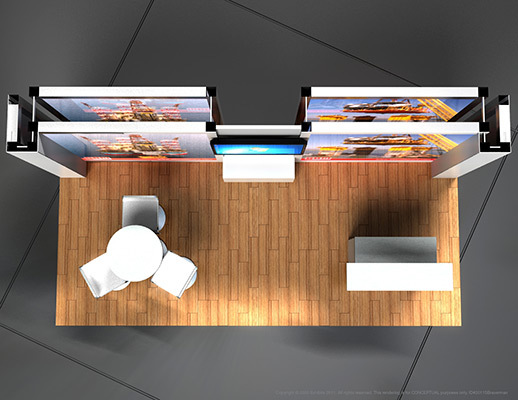 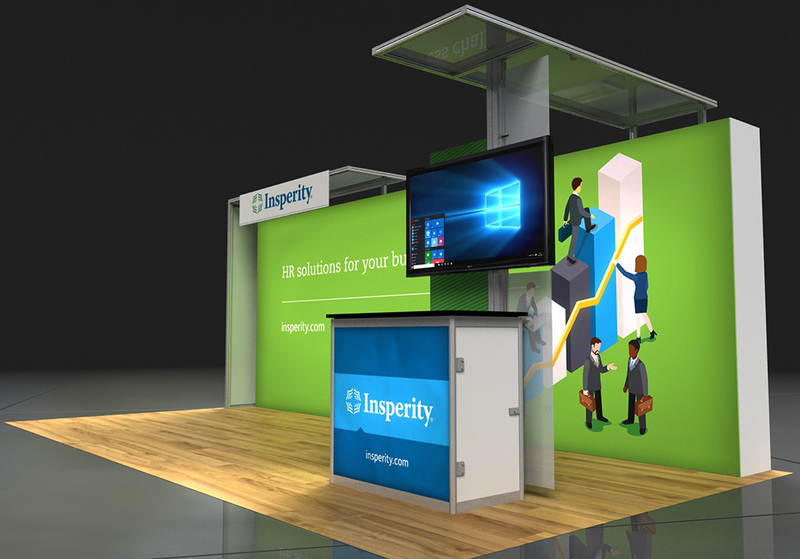 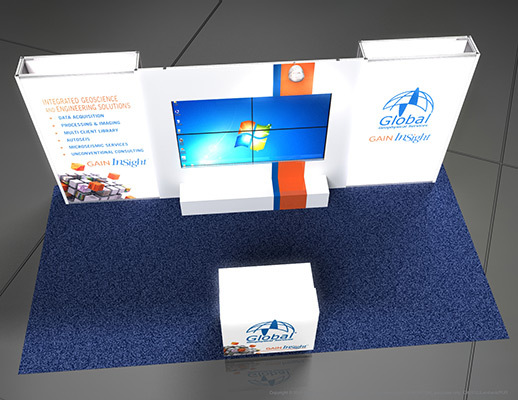 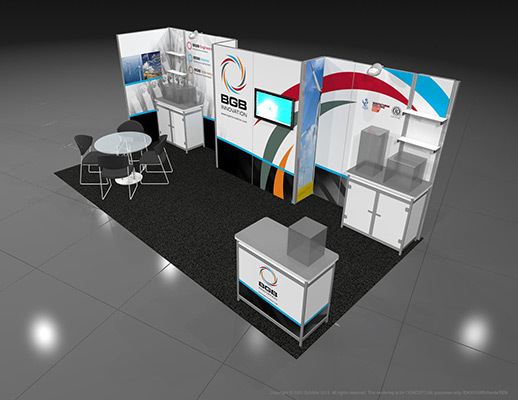 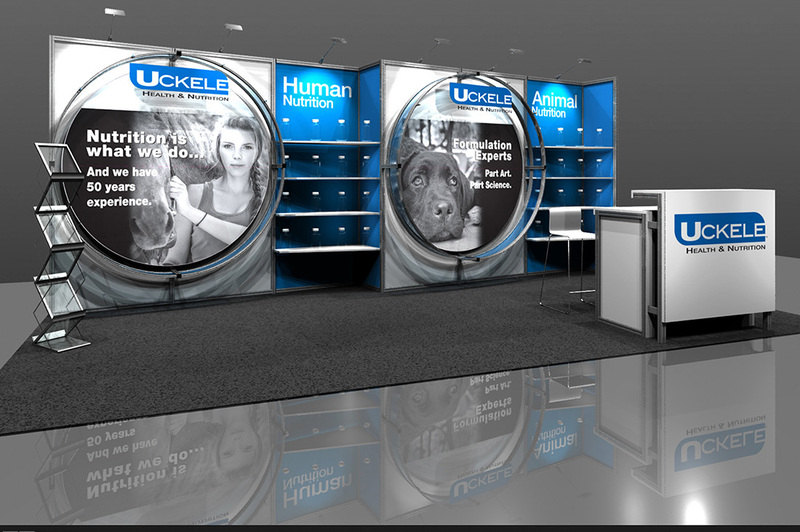 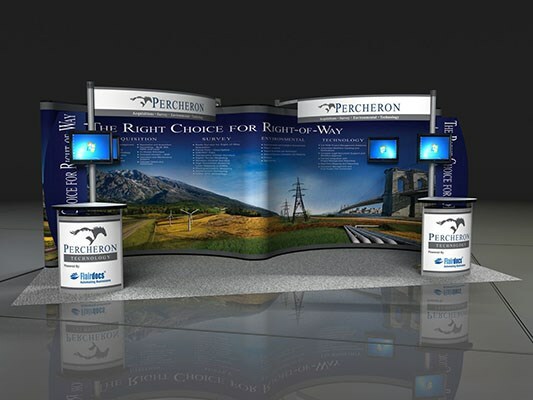 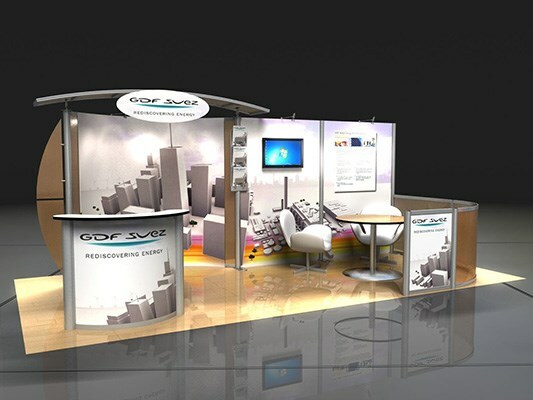 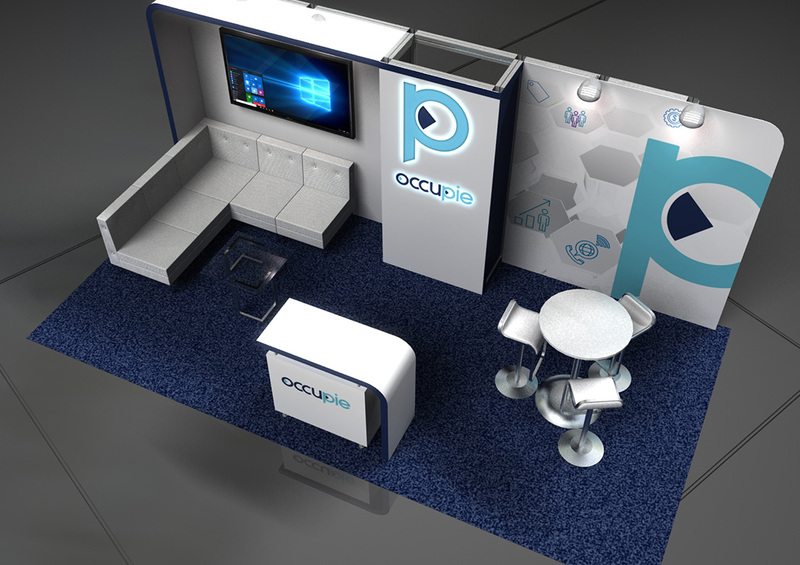 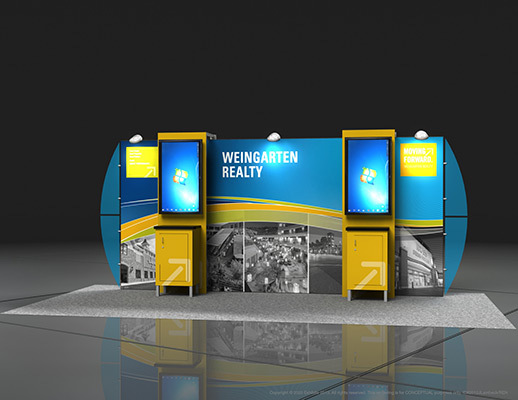 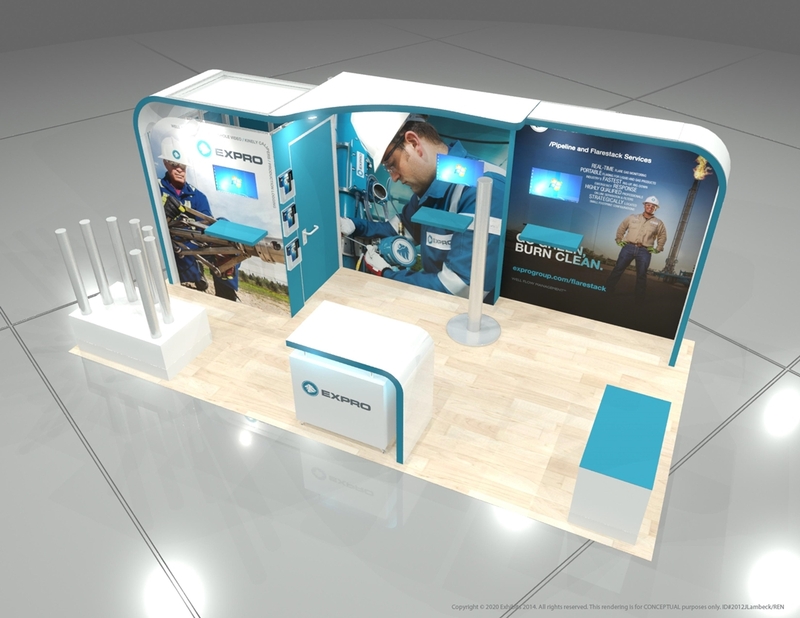 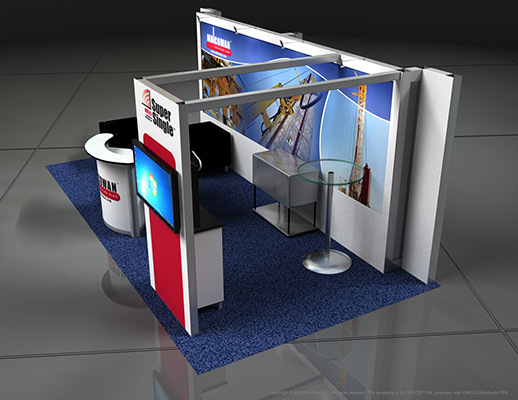 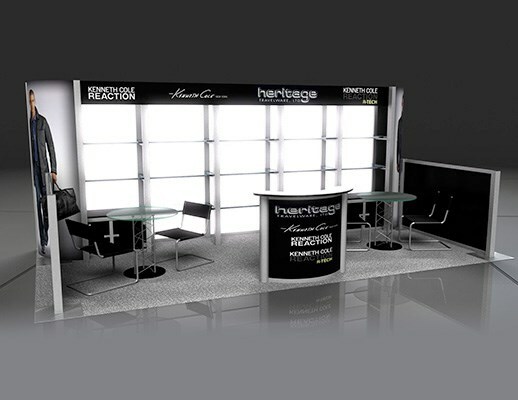 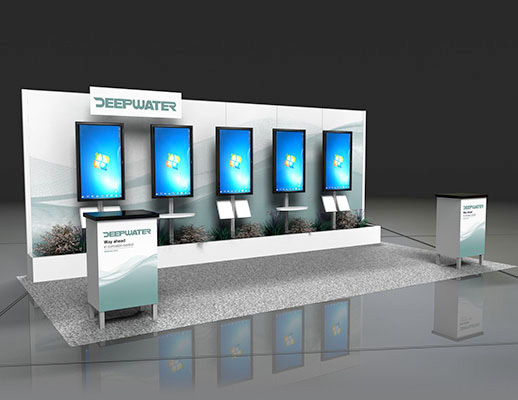 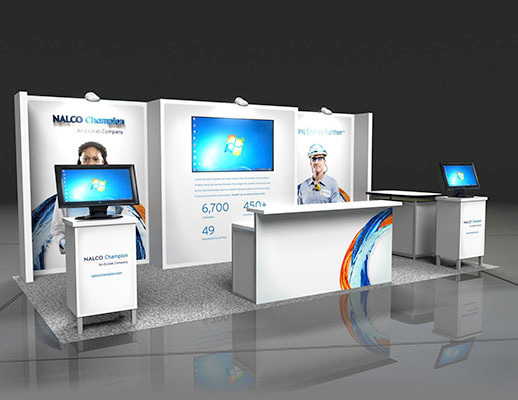 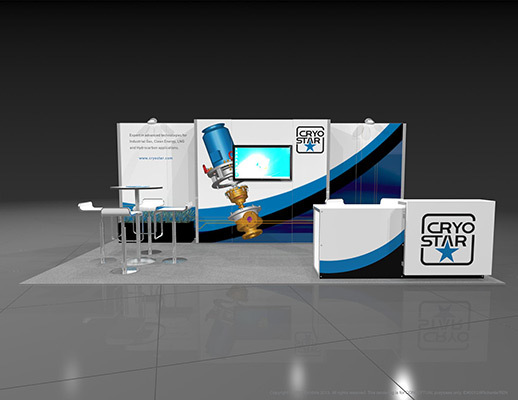 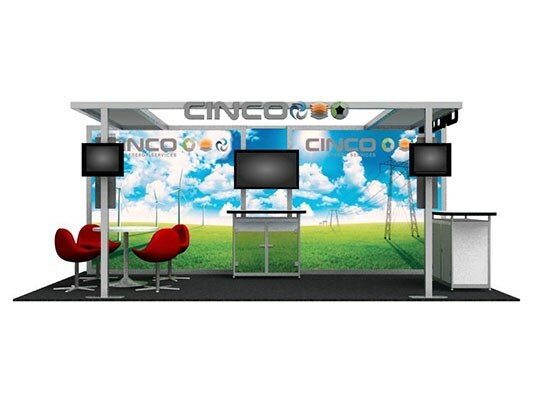 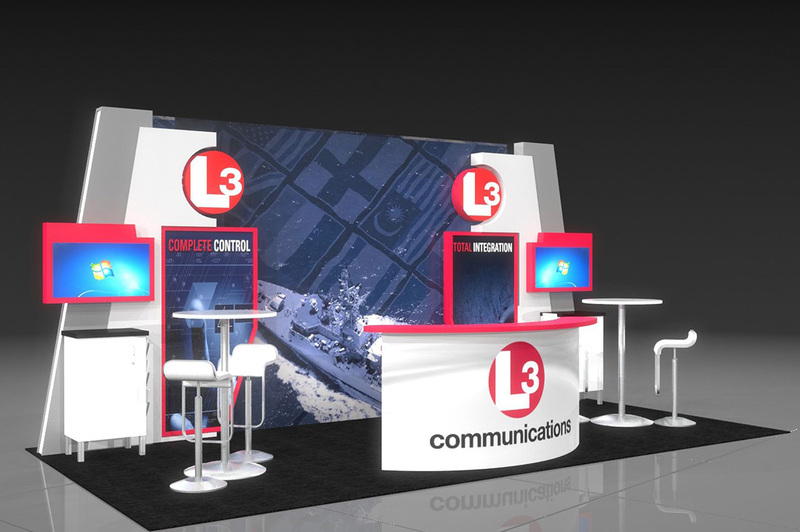 Geometrically appealing booth with a wide, strong graphic backdrop. 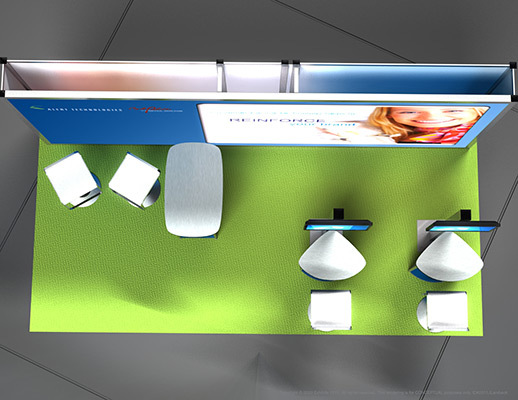 Comfortable lounge chair seating designed to make attendees comfortable in this booth while visiting. 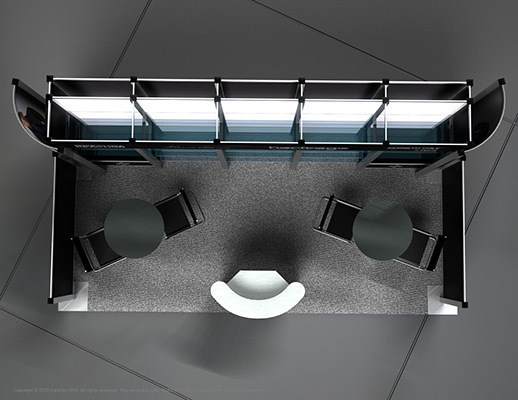 Metal overhang on the right side of the booth provides storage and a semi-private area to engage in conversation. 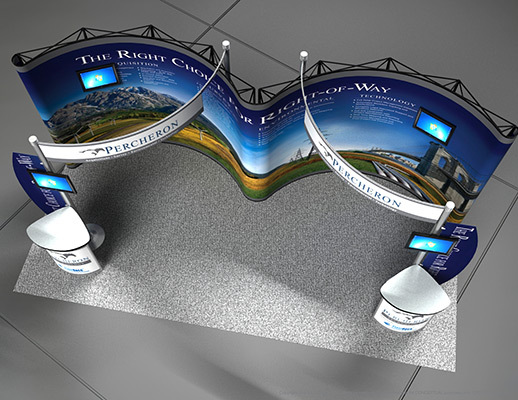 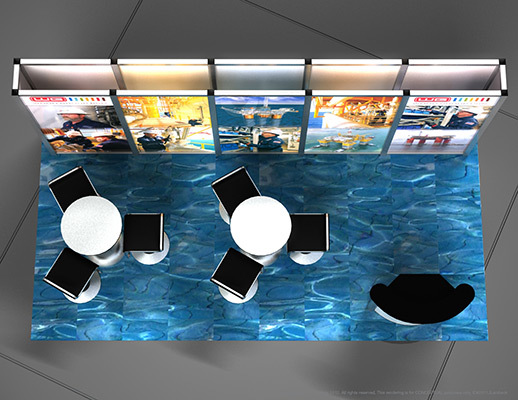 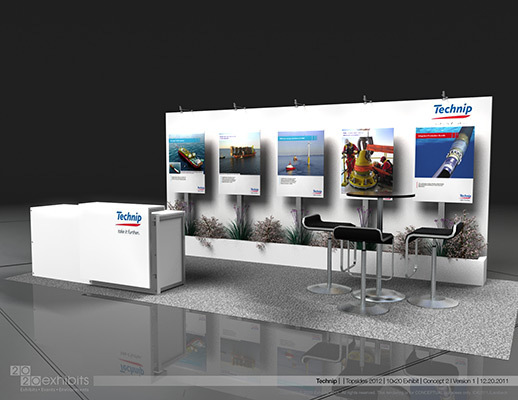 The exhibit is designed to cater to several groups of attendees at the same time. 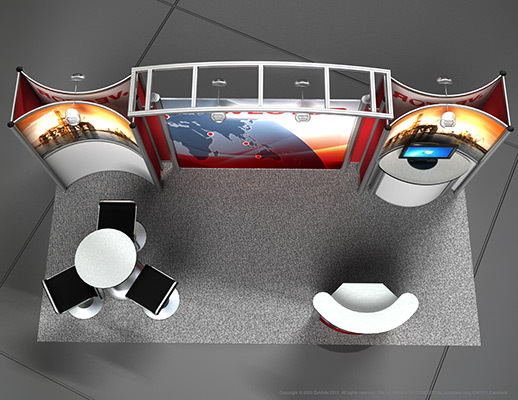 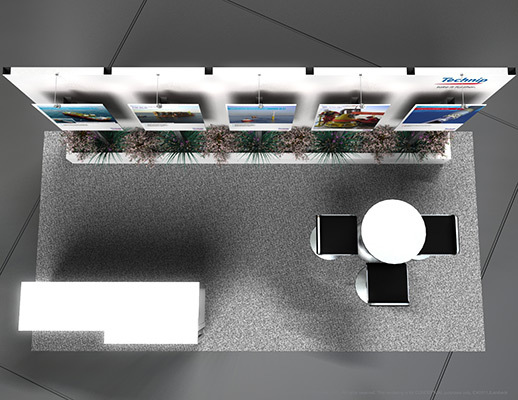 Features include: wide graphic backdrop, overhead lighting, geometric design, metal roof overhang, video monitor on exterior, reception area, multiple meeting areas, information station, carpeted inlay, prominent graphics and logos.